There are two opinions, predictably poles apart, in recent articles in the Independent and the Mail, on a proposal to remove Mary Seacole from her prominent place in school History. People of a certain age could be forgiven for not even knowing who Mary Seacole is. She was a nurse (though the term is used loosely here and she didn’t use it) who went to the Crimea to assist soldiers on the battlefield at the same time that Florence Nightingale was achieving fame for her work in the hospital at Scutari. She was notable for her determination: having been refused the support of the War Office for the journey (perhaps because of her age; she was approaching fifty) she raised funds herself for the voyage and established a ‘British Hotel’ where casualties were treated. She wrote a book about her experiences and achieved some celebrity at the time. Mary Seacole was an amazing character to be admired for her courageous career. But her importance in terms of lives she impacted on was comparatively minor, and one would expect her to be almost forgotten – and certainly not mentioned in primary schools. However, she made it into schemes of work related to the National Curriculum from about 1992 because she was considered a black role-model, having been born in Jamaica and being one-quarter black. Certain educationalists of a non-critical bent then posed the question, why was she not as famous as Florence Nightingale? Simple to say: the contemporary white establishment must have been racist. Schoolchildren are now solemnly taught by many teachers that the reason she’s not as famous as Florence Nightingale is because she was black. Obviously there are particular reasons for Florence Nightingale’s enduring fame in comparison with Mary Seacole. 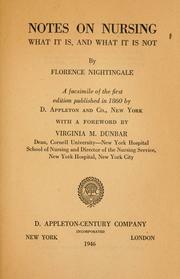 Nightingale questioned and challenged relentlessly, and tirelessly engaged with politicians and royalty to ensure that not only military hospitals, but all hospitals followed the hygienic practices necessary for them to be houses of healing rather than slaughter. She is without question the parent of modern nursing, and deserves to be famed then, now, and indeed as long as humans need healthcare. 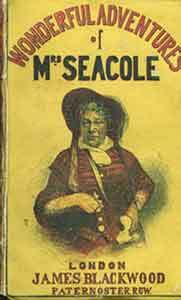 Consequently, as a minor character, Mary Seacole does not need to be discussed at primary level, and the Government are right to be questioning her status. However, you would be hard pressed to gain historical perspective from the Independent’s report, which quotes the black campaigner Darcus Howe as saying that the proposal to reduce her position in the curriculum “is a punishment for the uprisings of summer 2011” (the expression “uprisings” being what everyone else calls “looting and riots”). Howe’s foolishness speaks for itself. But it is of more concern when the Independent tells us with its own voice that Mary Seacole “was as famous as Florence Nightingale during her lifetime”. This is utterly absurd, as this Google ngram shows (which computes all mentions in published books from 1850 until the year of Seacole’s death). One day Diane Abbott could be a member of a Labour government. I wonder who she will want booted out of the curriculum – Churchill, probably. (Ironically Cromwell, another of the names she mentions as being of no more significance than Seacole, currently has no place in the primary history curriculum and schoolchildren already know more of Seacole than of him). The best service primary History teachers can do is to teach children to be questioning of motives – we already teach them that historical sources vary in value, but we must also show them that modern politicians and modern newspapers are ready to spin and twist facts in order to make the past fit into their own view of the present.